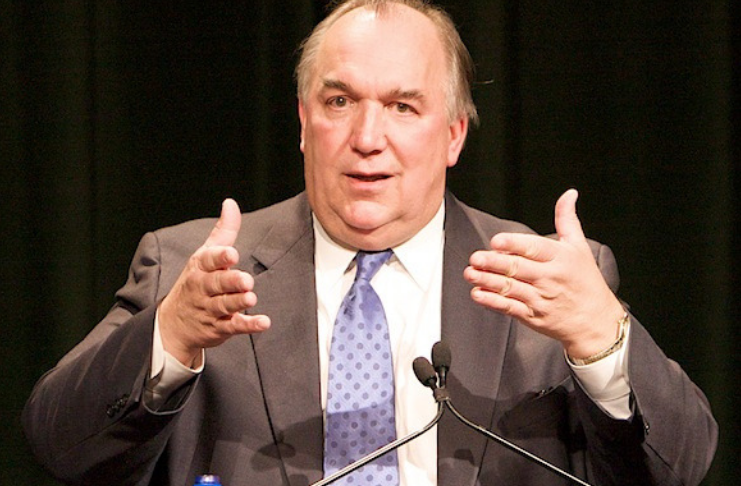 Will interim Michigan State University President John Engler make it until a scheduled board meeting first thing Thursday morning? As board members suggest they have the votes to remove Engler, speculation is growing that the GOP former three-term Michigan governor could resign beforehand. He closed down MSU’s fund for helping victims in December, saying the university had now paid a $425 million settlement. However, the MSU board opened a new fund after an outcry ensued. Gov. Gretchen Whitmer called for Engler’s ouster last summer during her gubernatorial campaign. He also shrugged off a scathing report issued last month from Michigan Attorney General Special Independent Counsel William Forsyth accusing MSU of stonewalling an investigation into Nassar’s abuse. Engler added there will be no more Nassar investigations at the university. This has prompted the statewide-elected MSU Board of Trustees to hold an 8 a.m. meeting on Thursday. The agenda for tomorrow’s meeting is here. The Byrum-Engler relationship has long and deep history. Engler, known to many as a fire-and-brimstone conservative Republican, served as Michigan governor during the 1990s while Byrum was a leading liberal Democrat in both the state House and Senate. She holds the distinction of being the first woman to hold the post of House minority leader. What’s more, in 1992, then Byrum defeated GOP opponent Tom Truscott in her bid for a second term in the state House. Truscott was the father of Engler’s press secretary, John Truscott, now president of the Lansing-based public relations firm Truscott Rossman. MSU has faced heavy criticism regarding its slow response to the Nassar scandal during and preceding Engler’s time at the university’s helm. He sexually assaulted more than 280 young girls, according to the Michigan attorney general’s office. Many testified in court, catapulting the story into national headlines. Nassar has since pleaded guilty and has been sentenced on criminal charges in separate state and federal cases. He’s currently serving time in prison. MSU’s president at the time, Lou Anna Simon, resigned during the scandal last year. She was later charged with four counts of lying to a peace officer regarding statements she allegedly made to police officers regarding the attorney general investigation. Former College of Osteopathic Medicine Dean William Strampel, Nassar’s boss, was charged with criminal misconduct in office, criminal sexual conduct and willful neglect of duty. Former gymnastics coach Kathie Klages has also been charged with two counts of lying to a peace officer. Engler was named interim president in 2018 and the MSU board has been looking for a permanent leader since that time. While Engler was brought on to bring stability to his alma mater, his tenure has been rocked with controversy. Last summer, the Chronicle of Higher Education obtained an email in which he accused Rachael Denhollander, the first Nassar survivor to go public of getting kickbacks from attorneys involved in lawsuits against MSU. Another survivor, Kaylee Lorincz, said Engler offered her $250,000 during a meeting, the Free Press reported. Engler has also come under fire for hiring several old allies, including former Secretary of the Senate Carol Viventi and former Michigan Supreme Court Justice Robert Young.